Mojang will release a version of Minecraft Pocket Edition for the Raspberry Pi, a tiny cheap computer sold by a charity that encourages young people to get interested in hacking computer hardware. My two sons are completely addicted to Minecraft and play on Windows and Ubuntu. Minecraft PE is not exactly as featureful as the ordinary version, so they probably wouldn’t care about getting a Pi and playing there. I’ve noticed lots of innovation in tiny PCs coming out of China that run either Android or Ubuntu. In addition to tablets and laptops, there are the gamepad and HDMI stick form factors. For not much more than the Pi, you could get an HDMI stick like this: Mini MK802 Android 4.0 Google TV Box HD IPTV Player PC Allwinner A10 1G DDR3 . I’m sure there’s some fun to be had putting the Pi into a box and hacking it, but it seems like one of these HDMI sticks would actually be more fun on the software side. Minecraft is coming to Raspberry Pi! 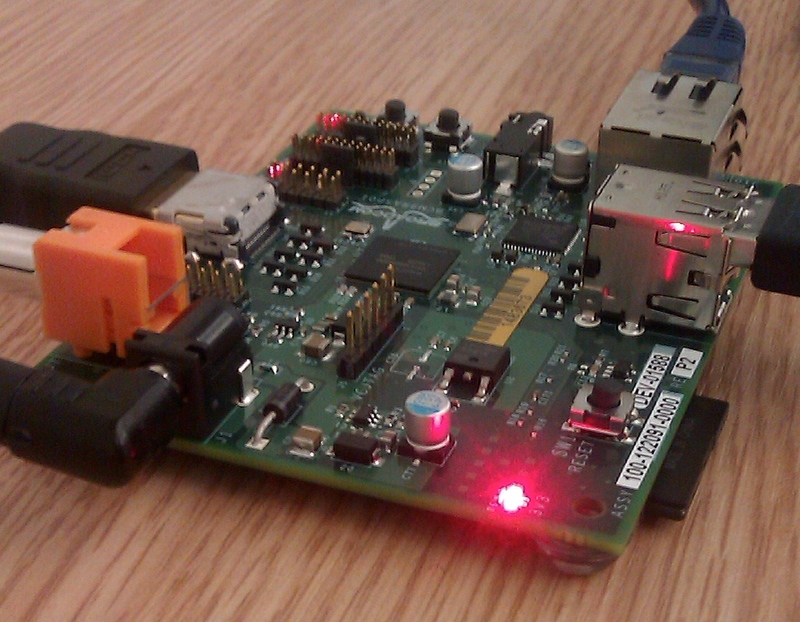 The Raspberry Pi is a credit card-sized computer that’s a great starting point. It’s cheap, capable, and approachable for newbie programmers. It’s also extremely fun to play around with, no matter your experience with code. Plug it into a TV or monitor, attach a keyboard, and begin. Soon you’ll be able to play and program with Minecraft on one of the snazzy little devices. Aron and Daniel have dedicated time to porting a version of Minecraft: Pocket Edition that comes with a revised feature set and support for multiple programming languages. We’re calling it Minecraft: Pi Edition, and it will be completely free to download.